Who won the Green Jeans Consignment Stylist contest? 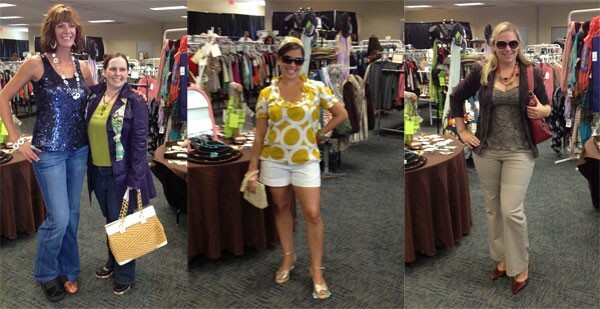 Remember, a couple of weeks ago we told you about the Green Jeans Consignment Stylist Contest? Well, yesterday was the big day and we were there for all of the VIP fun! Christine Nelson, Marguerite Rupar and Whitney Hamlin came out to show off their styling skills and pulled together three awesome looks in under the allotted time of one hour. The "battle" was intense, and although all of the ladies did a fantastic job, only one could be the winner. All in the name of charity, yesterday's VIP event seemed to bring out the best in everyone. In fact, Rupar mentioned that she would "donate her earrings to Dress for Success Charlotte" if she won. So who IS the winner? Announced on the Green Jeans Consignment Facebook page earlier today, Marguerite Rupar takes home the gold. Well ... it's actually a blue ribbon, but it's a first place win nonetheless. Congratulations, Marguerite! 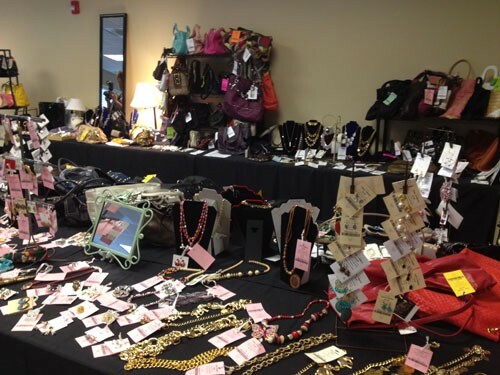 There are so many great items available for sale from clothing to shoes, handbags and accessories, and the official sale opened to the public today at 9 a.m. You can shop the Green Jeans Consignment sale at the Queens Sports Complex (2229 Tyvola Road) until 8 p.m. this evening, Saturday 9 a.m.-6 p.m. and Sunday, (which is 50 percent off all discounted items), from 8 a.m.-3 p.m.
T. Strong is a TV personality, personal stylist and fashion journalist who contributes commentary on Creative Loafing's Klepto blog in addition to writing for several other national media organizations. To learn more visit www.StyleMayvin.com or follow therealtstrong on Twitter.